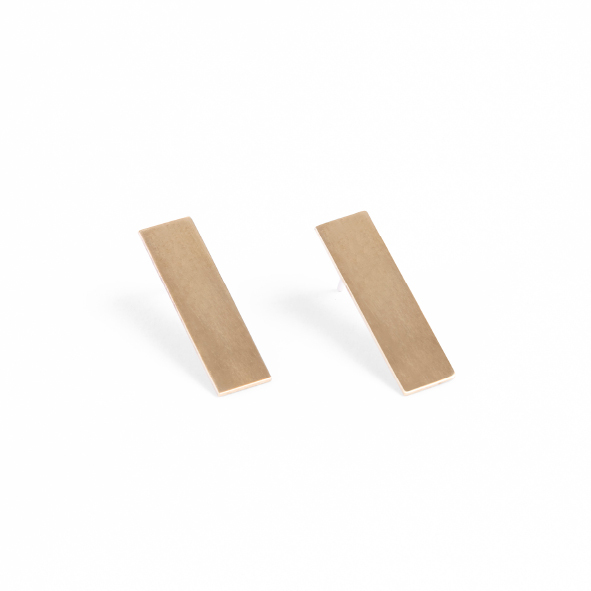 These bar studs are the beautiful basics of the Look Up collection. They are simple and elegant and based on the building blocks of our city, the bricks that build the walls, that form the structures that make up our neighbourhoods and the places where we live and work. They're easy-to-wear, match-with-everything kind of earrings! 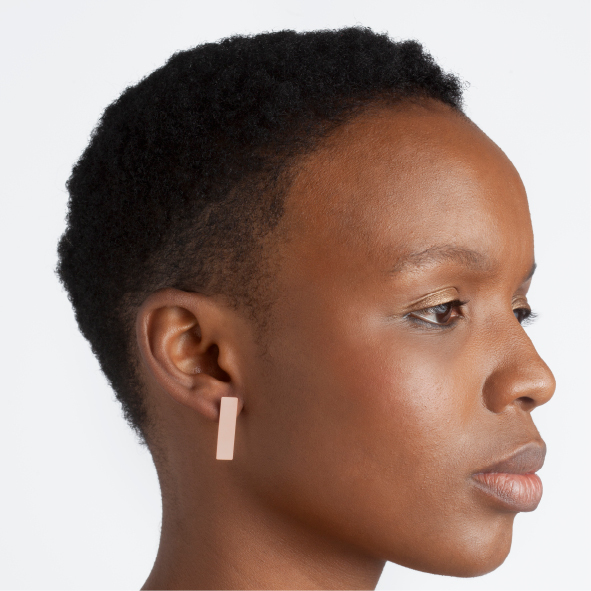 Available in rose gold plated copper with plated sterling silver studs or yellow gold plated brass with sterling silver studs. The studs are 2.5cm long x 0.7cm wide and come with a sterling silver butterfly. Notify me when Brass Bar Studs is available.